Biotechnology represents a novel and expanding international industry bound by new and ever–changing legislature. 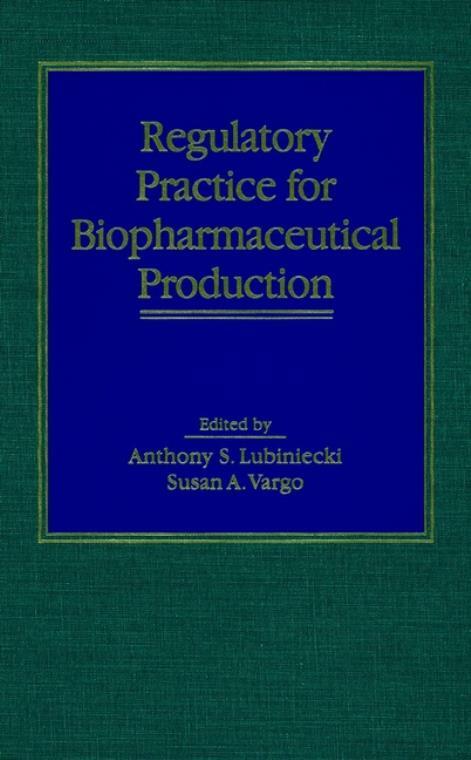 This text provides a comprehensive overview of product–specific, international and country–specific licensing requirements and general regulatory issues in biotechnology. View of New Biotechnology Regulation (H. Miller). Genetic Stability of Host Cell and Product (M. Wiebe & N. Lin). Quality Control Issues for the New Biotechnology (S. Vargo). Strategic Decisions in Process Design (A. Lubiniecki). Experience in Manufacturing, Testing, and Licensing a Hepatitis B Vaccine Produced by Recombinant Technology (A. Elliott, et al.). Tissue Plasminogen Activator: Regulatory Issues (D. Beebe & G. Murano). Cytokine and Growth Factor Products (L. Dujack & K. Zoon). Licensing Biotechnology Facilities (R. Devine). Computerized Systems Validation (R. Branning). Regulation of Pharmaceuticals in Japan (M. Dibner). Unresolved Issues (T. Copmann & J. Petricciani).